All trade in items are quality, one owner items taken in for credit towards the purchase of new products. Trade up are items we originally sold, traded back in by our client towards an upgrade. All trade in items are inspected to verify they are performing properly before being offered for sale and therefore, they are sold as is. 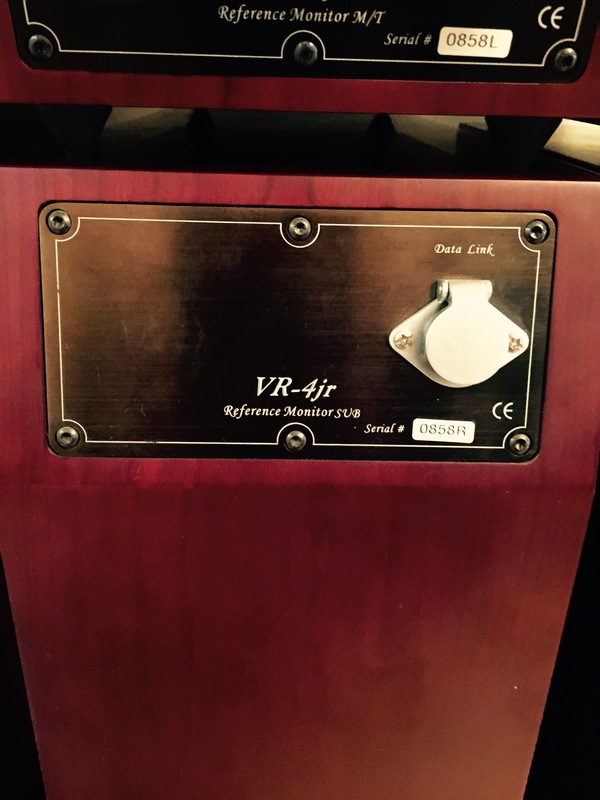 A beautiful Ayre Ax7 integrated amp for sale. One Owner. Used in a dedicated system. Berkely Audio Alpha Reference Dac MK2 with MQA.Series 1 updated MK 2. In excellent codtiontion. One owner, set up in a dedicated room with top notch equipment. 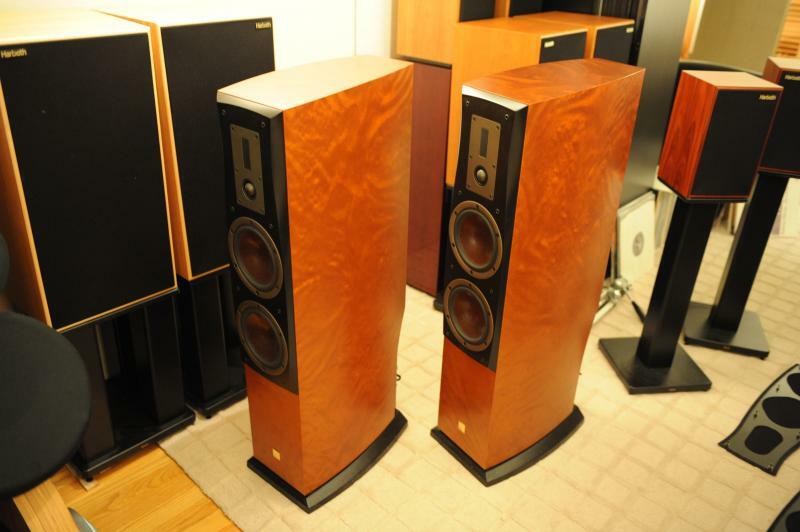 Sonus Faber Liuto monitors , no stands. 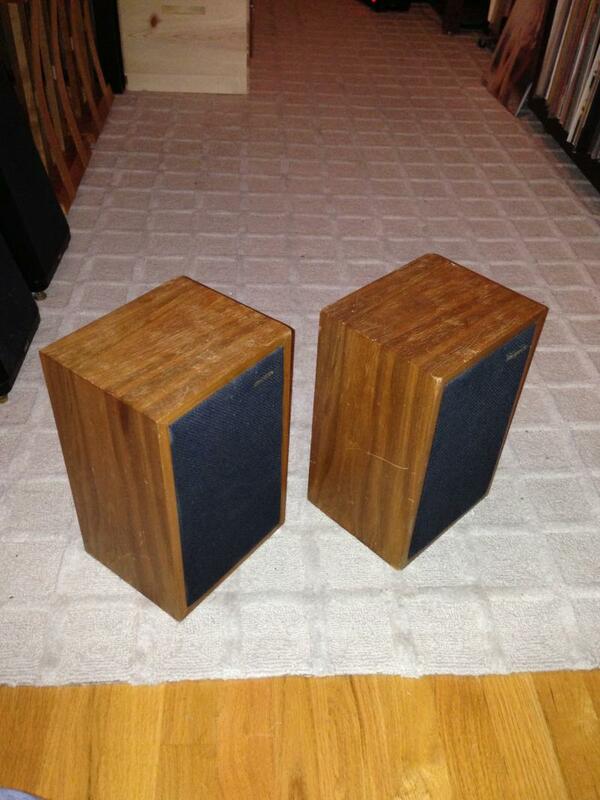 A nice pair speakers in great shape. 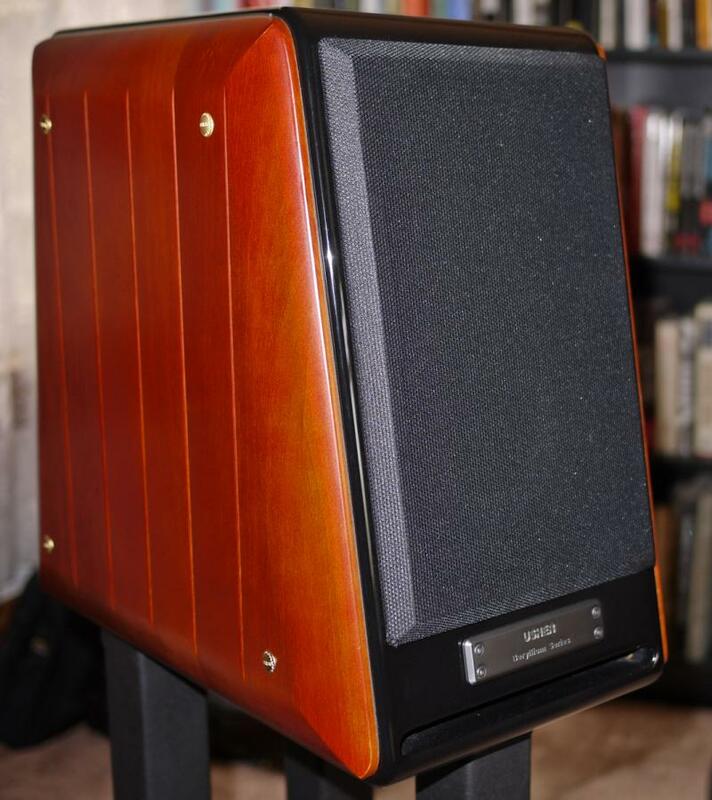 A very nice condition Rel Storm 3 subwooferin Rosewood. One owner who used it in a dedicated room with ultra high end pieces. 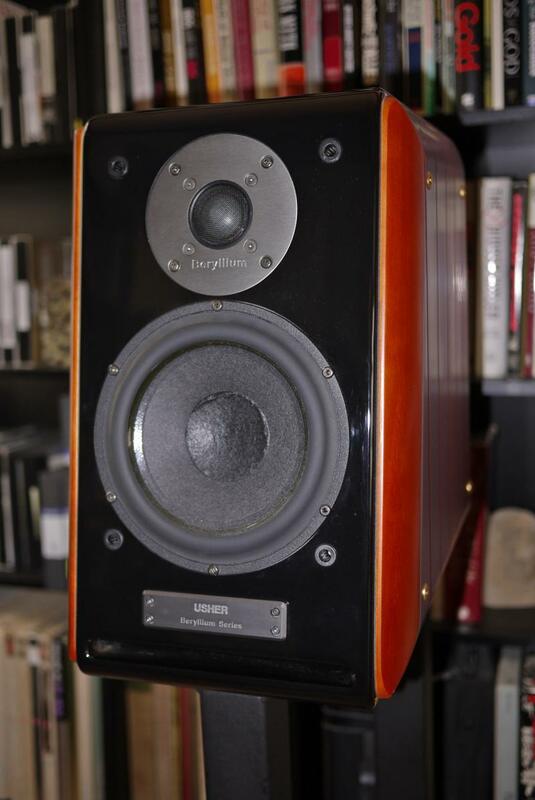 A rare pair of Rogers LS2 speakers in excellent working condition. The speakers have some marks and cosmetics bumps but structurally sound. 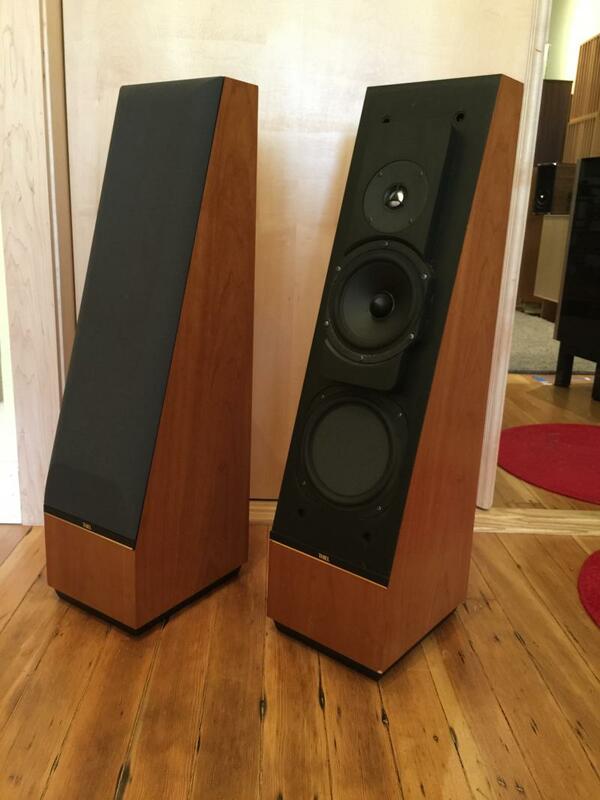 Kudos X2 in walnut, one owner originally sold by us. A couple of cosmetic blemishes on the cabinet but sonically excellent. 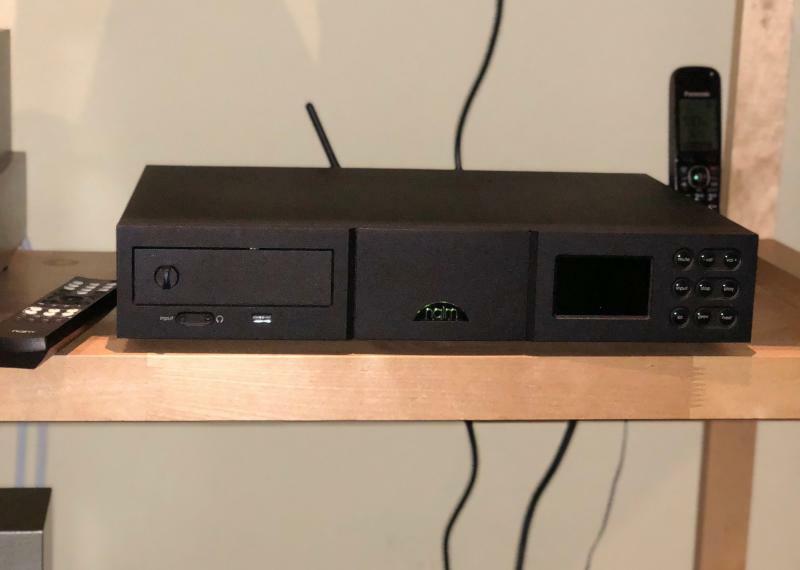 Naim Unity Integrated amp gently used. With streaming , built quality cd and Dac, internet radio, ethernet, its great all around amp for a fuss free system. Gently used Rogue Sphynx integrated Amp with metal remote in nice shape. 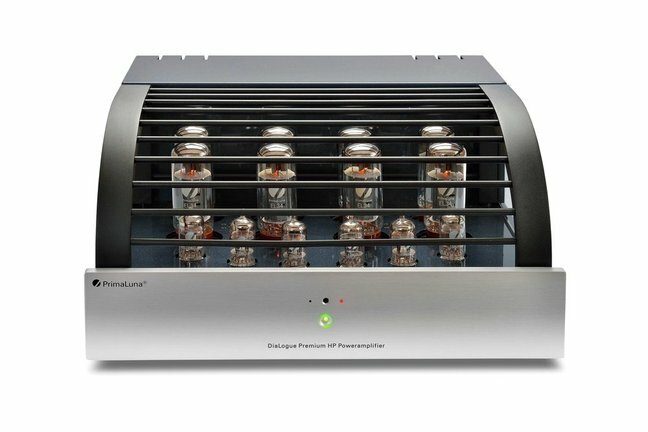 100 watts of tube hybrid power with phono. Easily drives most speakers . 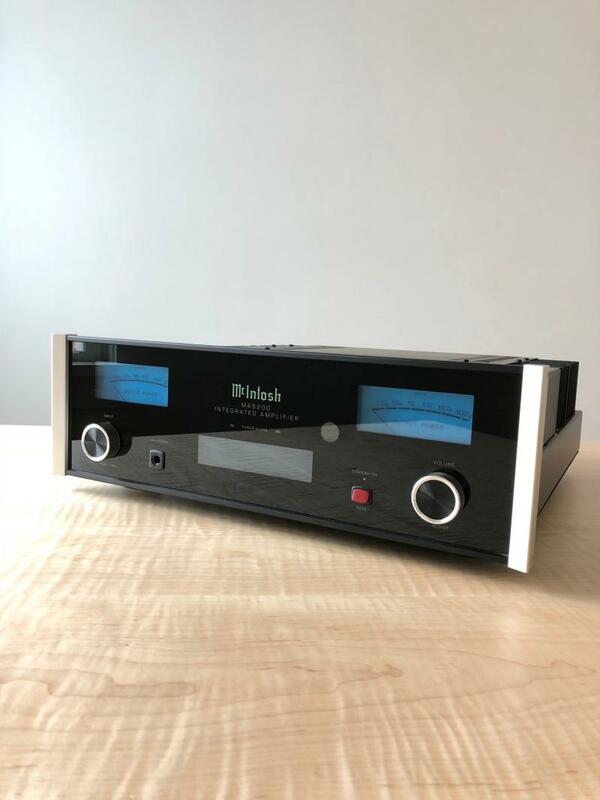 For sale is a beautiful Mcintosh 5200 integrated amplifier , one owner. Low hours, in excellent condition. Remote and power chord, manual included. 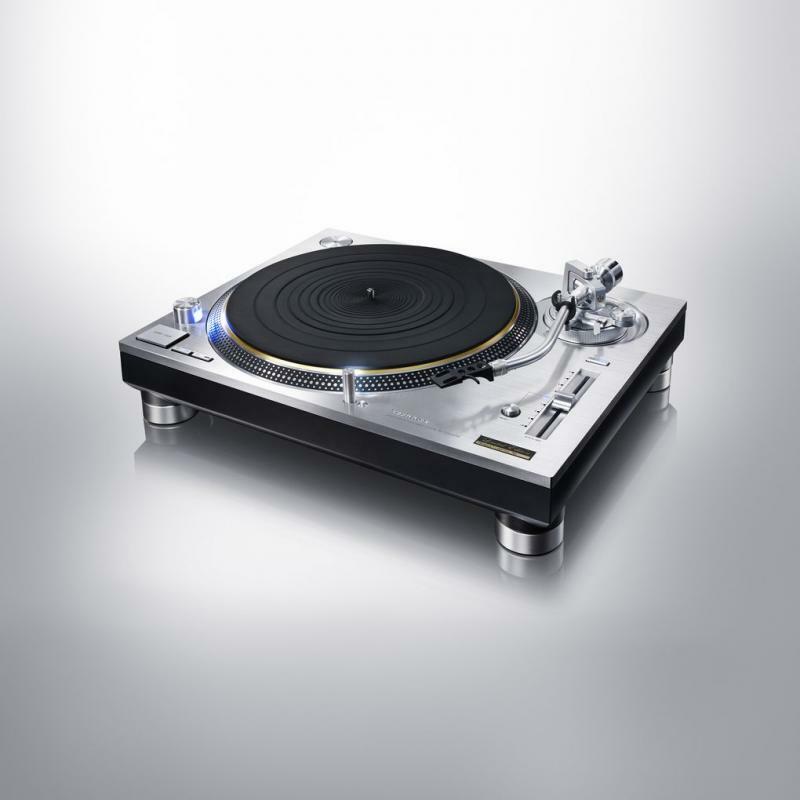 New In Box Technics SL1200 Limited Edition﻿ turntable in Silver. Avaialble for pick up. 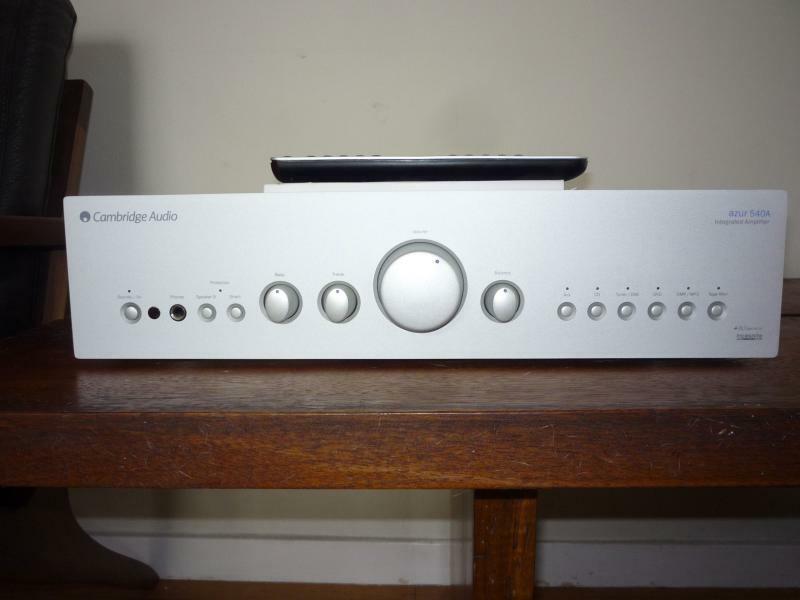 A minty Luxman 507 UX integrated amplifier for sale. One owner, well cared for- in subperb condition . Originally purchased from us. 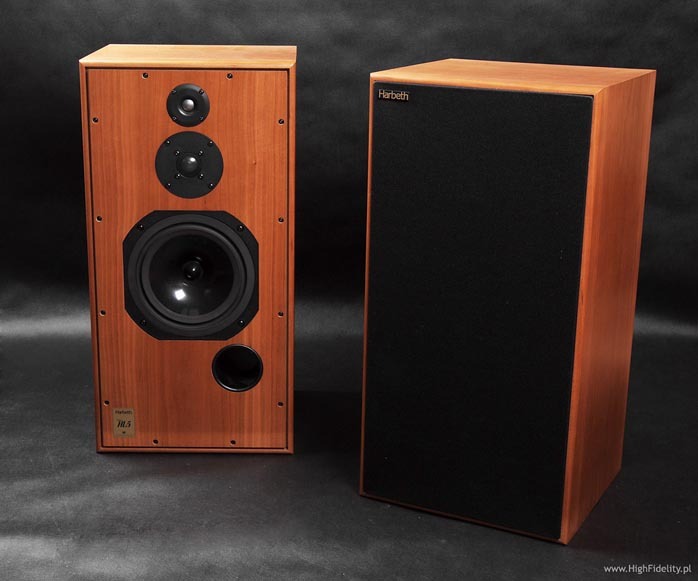 A beautiful pair of Harbeth SHL5 9( not plus version) in Cherry . One owner originally purchased and set up by us.well cared for and lovingly used with quality amplification. Skyland stands available for $350. 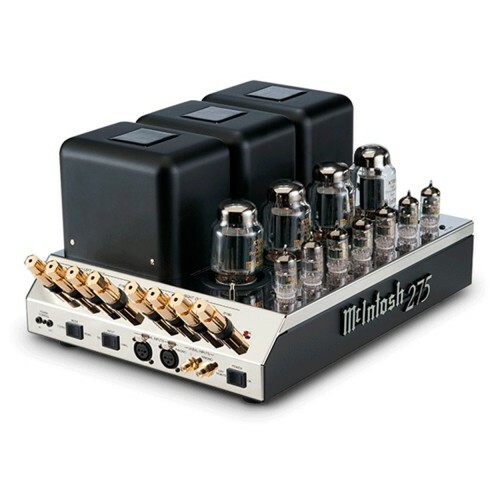 One owner Mcintosh MC 275 VI amplifier, latest version . Lightly used in a dedicated system. Beautiful condition. 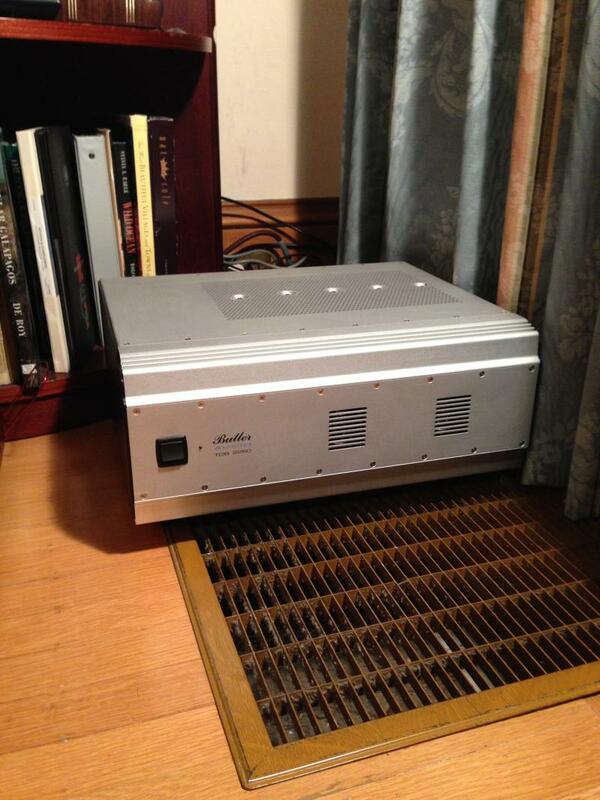 One owner, Conrad Johnson MF2500A amplifier in excellent costmetic and operating condition. 250 watts of sweet solidstate sound. for sale is used Air tight ATM1 in great shape, well loved and great sounding. B&W Nautitlus 804 (first Gen) in Cherry for sale . One owner ,very nice shape , a small mark on top as seen in tphoto otherwise very nice overall. 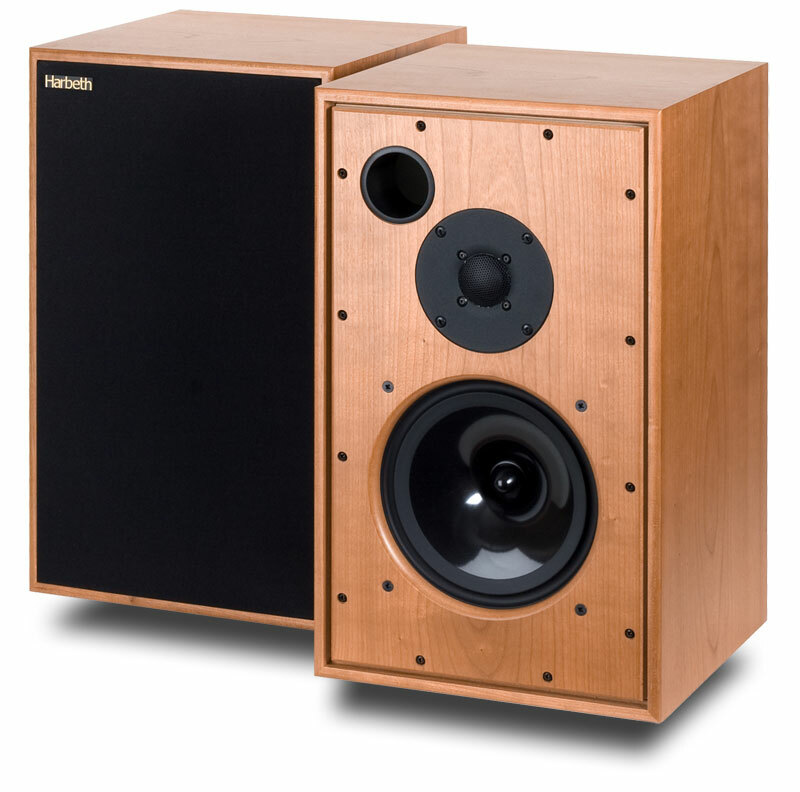 for sale Harbeth M 30.1 in cherry , one owner in excellent condition. Lightly used with top tier electronics. Mostly for playing acoustic music. Owner has upgraded to something exponentially more in cost. Matching stands available for $350. 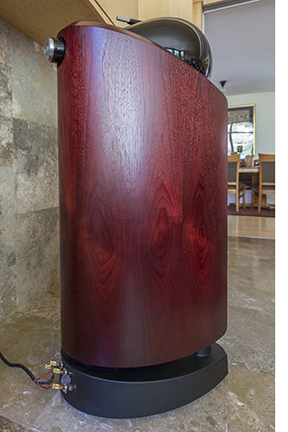 Prac Response 3.8 in great shape,clean every where except there is a small 1.5 inch veneer crack in the lower front of one speaker . local pick up preffered..
the orginal owner , well cared and gently used in a dedicated sytem. Musical Fidelity Tri-Vista SACD , tray not working but usable as a DAC only ($200) via digital input. original boxes and booklets and all are in good condition. Latest version of the venerable Vandersteen Quatro Wood CT in Cherry, superb conditon, one owner in upgrade wood finish. Includes outboard crossover $700 value. 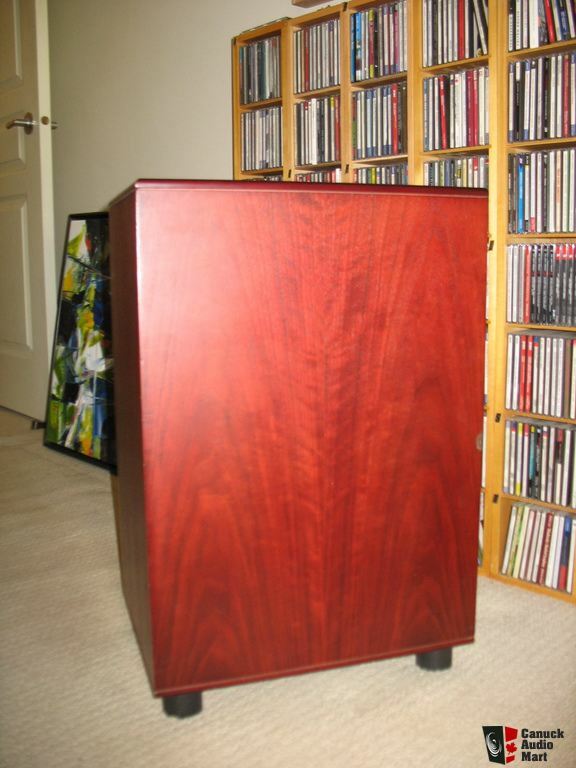 one owner Cherry finish excellent condition-set up and originally sold by us, comes with matching skyland stands. 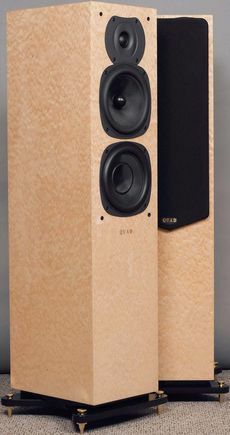 Harbeth Monitor 40.1 in Cherry . One owner, originally delivered AND set up by us . Excellent condition, lightly used. 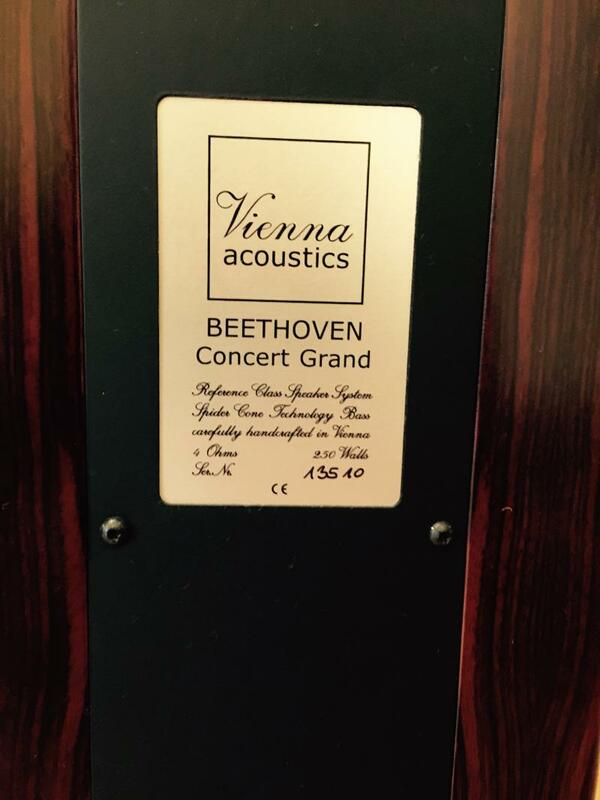 Demo pair of Vienna Acoustics Beethoven Concert Grand Speakers, very nice condition at a great price. some small cosmetic blemishes, sonically perfect .. nice overall. 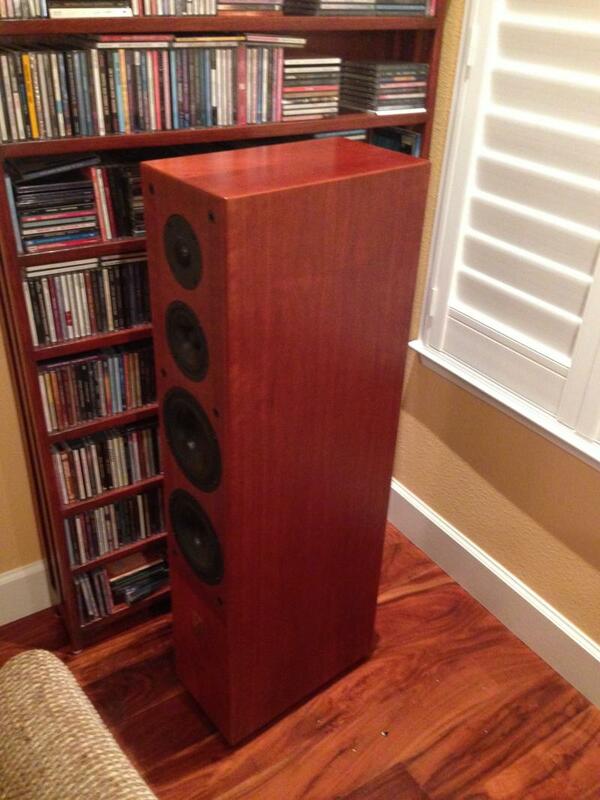 Quad 22l2 speakers in Birds eye finish , excellent condition Gently used and well cared for. 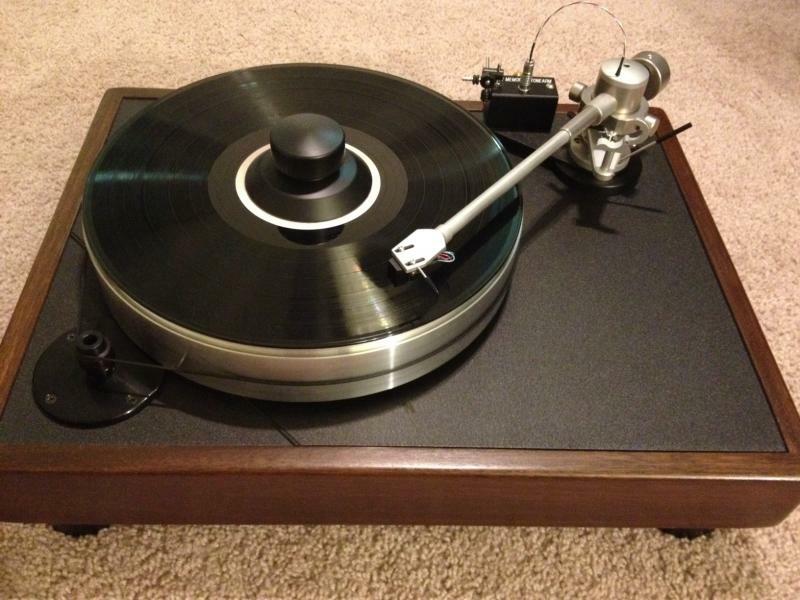 This is a recently upgraded and frequently tuned 80s era Linn LP12 with Ittok LV II Tonearm. 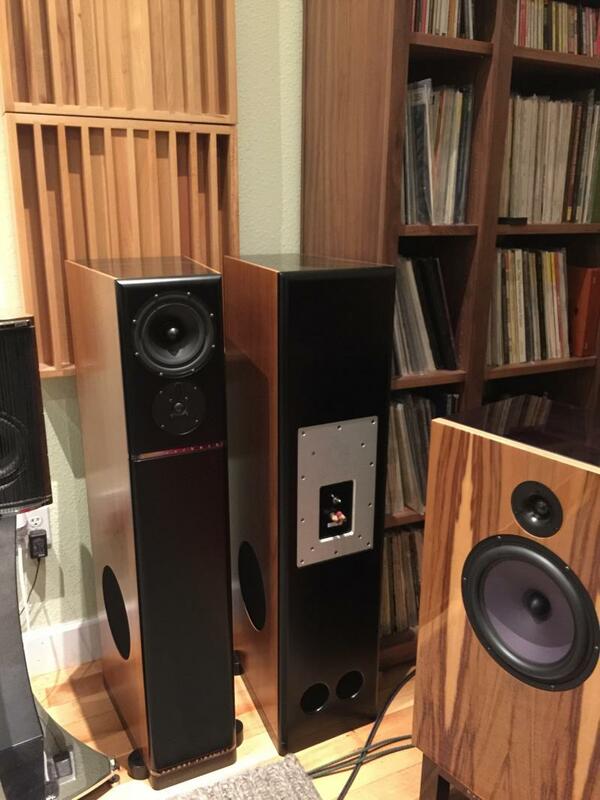 -fully inspected by long-time Linn dealer/technician in the Bay Area.- purchased new and installed the latest generation Linn Lingo power supply, Cirkus bearing upgrade (including new hardware, springs, and grommets), as well as a new Linn phono cable. table includes a Goldring 1042 MM phono cartridge in very good condition and is separately available if interested (can also leave it mounted on the table for anyone interested in the full package). -have the original bearing assembly, a spare hinge for the dust cover, a spare felt mat, and the original Valhalla power supply (still functional) - will include everything in the purchase. -Prefer local pickup or drop off in either the Sacramento or San Francisco Bay Area. -may be willing to break it up and sell specifically the Linn Lingo separately. For sale is a Audioprojekte solid state 10 watts Class A per channel amp. 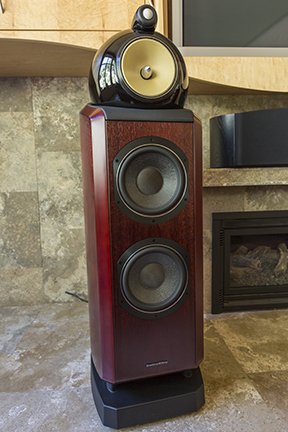 Artisan quality build for speakers on higher efficiency. Liquid and very nice detail with all the warmth you'd expect from a Class A design. Its similar in design to the Nelson Pass' J2 amp.Its a 3-stage 4-transistor class A design . Actual unit for sale is black, NOT gray, photo is for reference only. One owner. Mint. Purchasd new from US dealer. 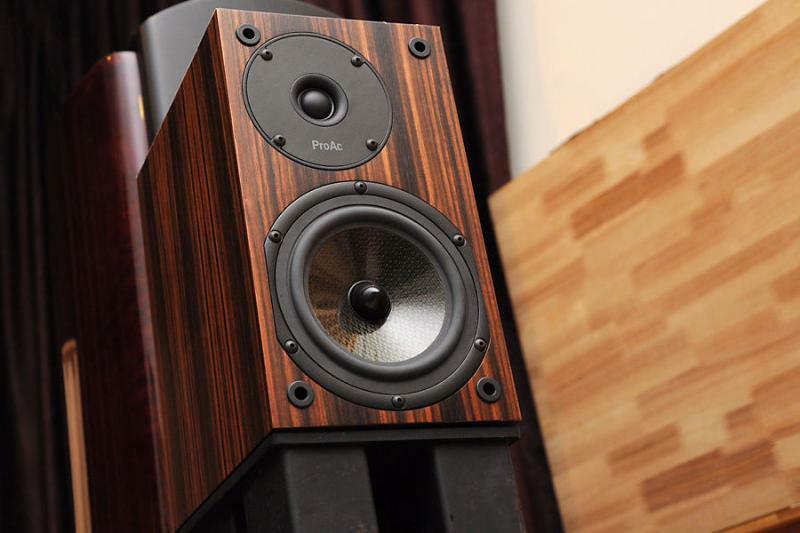 Pristine pair of B&W 802 D Rosewood. gently enjoyed by original owner. pick up preffered. the owner purchased spares of critical components to ensure a lifetime of hassle free usage. two extra tubes for the plasma tweeters. extra fuses and circuit boards for the tweeters. only visible when you look closely. 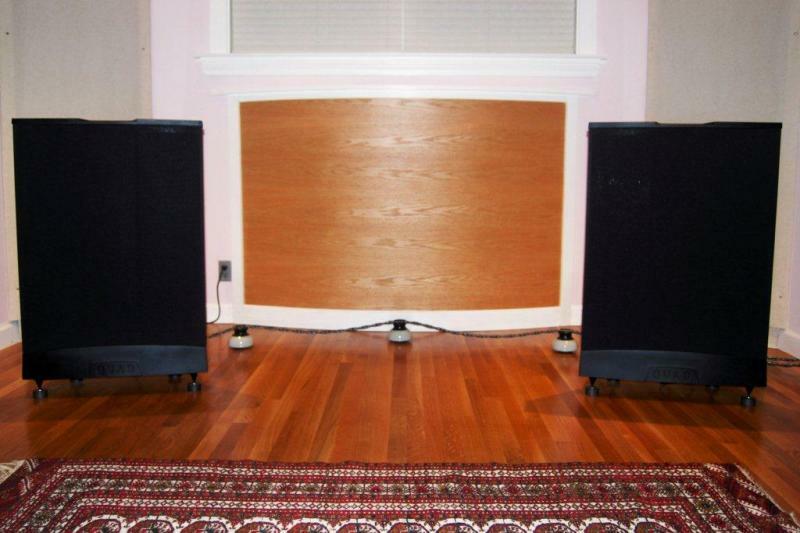 Excellent condition used in a dedicated listening room with top flight system. all original owner, excellent condition.. 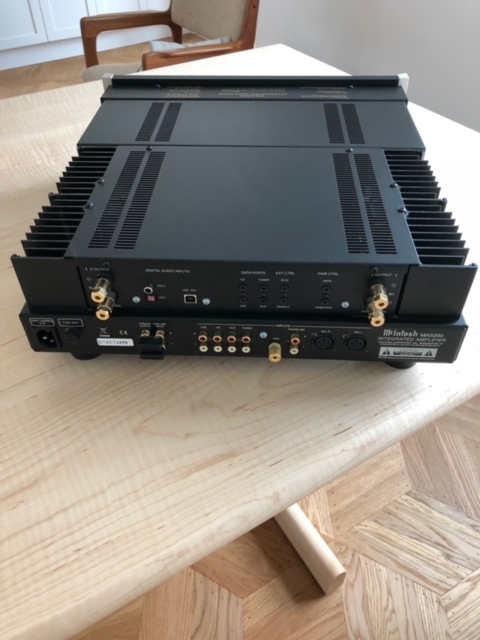 Traded in by orginal owner , so he has first priority for upgrades with Ayre, please inquire for cost difference..
A subperbly clean Parasound JC2 BP pre amp for sale original box and acessories. AM1 power pack for one preamplifier and two power amplifier modules, using a vacuum valve as high-voltage rectifier. Usher Be 718 monitors with 3 post sound anchor stands . 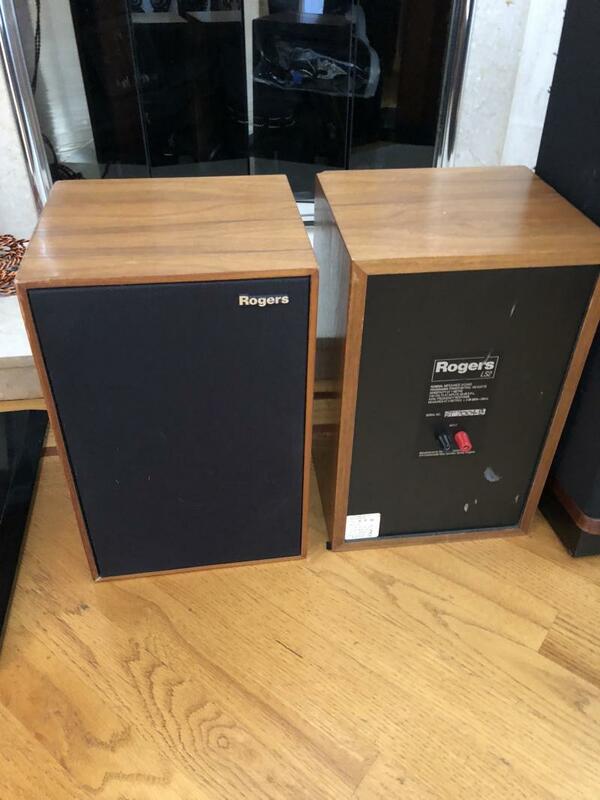 A classic pair very rare Rogers LS35a 11 ohm version, all original drivers, cabinet has assorted marks and blemishes, but functionally sound. Magnepan 3.7 with upgraded MYE Stands for sale , traded in by the original and only owner. It is in pristine condition cosmetically and in function. They were kept in a dedicated non smoking listening room , no pets or kids. Original box and packing material is included. Music First transformer based passive pre amp,copper version. 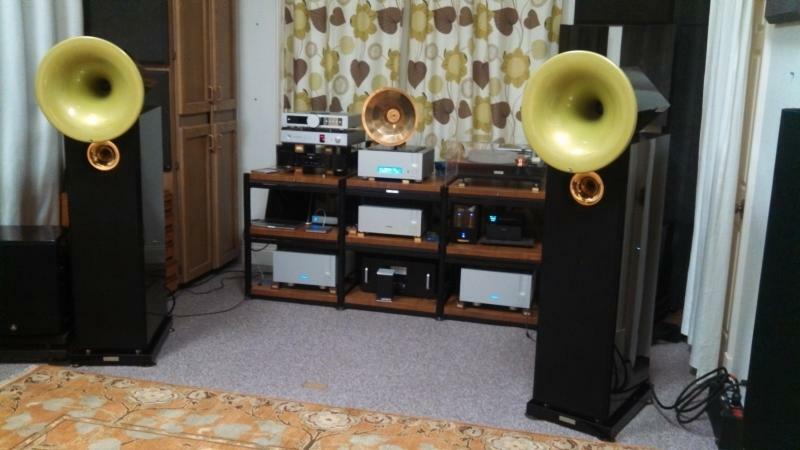 It is a one owner item that is well taken cared of used lightly in a dedicated listening room. It is in excellent condition, there is a very small and faint mark on the top at the backside of the unit. All in excellent condition , lovingly cared for. Spendor SP 100.Light Cherry,excellent condition. Audience 2 Meter speaker cables, e version. spade both ends. 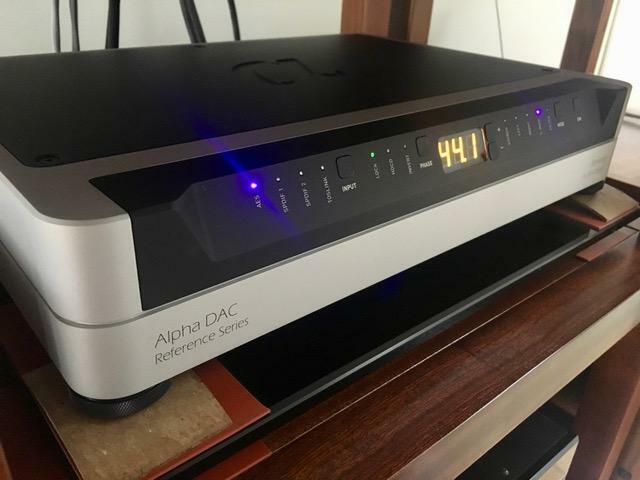 Ayre P5xe phono stage . mint. Krell kav cd 250 2 used in a bedroom system. One Owner Ayer QB 9 USB DAC bought new from authorized dealer with 192 feature built in. Shindo Labs Silver inter connect in 1/2 Meter length, great for minimizing interference when used between a step up or your source to pre amp. in excellent condition, very clean. 5 meter pair of Auditoium 23 Speaker cables, hard to find in this length, bananas both ends. 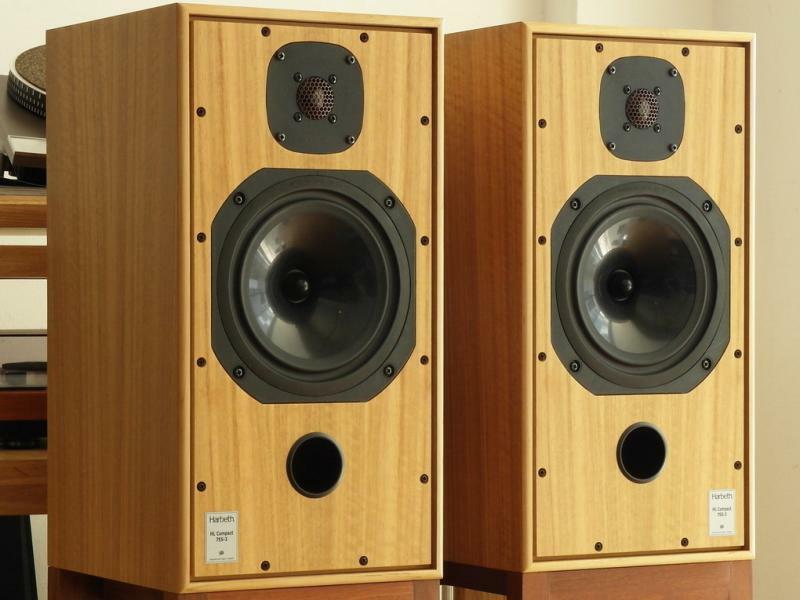 For sale is a pair of Quad 2805 in the rare Classic finish. 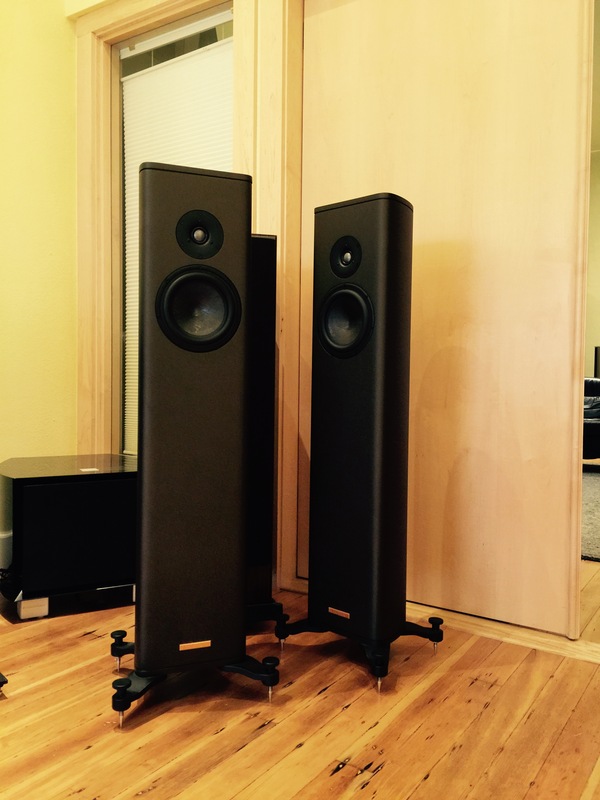 A pristine pair of Vivid B1s in graphite finish. 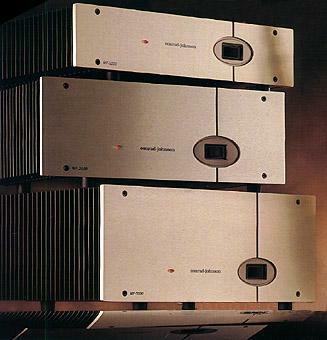 One owner pair used with top of the line Luxman amplifier and Sacd Player. He traded it in for a pair of $40,000 speakers from us. We have a Quad 909 amplifier.Mint condition. It is in the Classic finish which is a $200 upcharge over the standard black.It has 10 hours of total play time. The Luxman 505 u inegrated amp was originally sold by us to our good client ,who is upgrading within the Luxman. Its in excellent condition. The Einstein Turntable's choice is a phenomenal phono stage, its been compare to some of the best at an affordable price. Unbalanced version in superb condition, the main unit is clean 9/10, the black power supply which is meant to be placed away from the main chassis has one tiny mark that looks like a dot is rated 8/10. We have a minty LFD phono LE SE for sale. 4 months old. The unit is a one owner item in superb condition, traded into us for a phono more than double its price. .
We have a T+A power plant in excellent operating condition. Trade in item by original owner whom purchased it new in 2009. T+A Music Player ,Media Streamer traded in by the original owner, purchased new in 2009. Unit is in excellent operation condition. 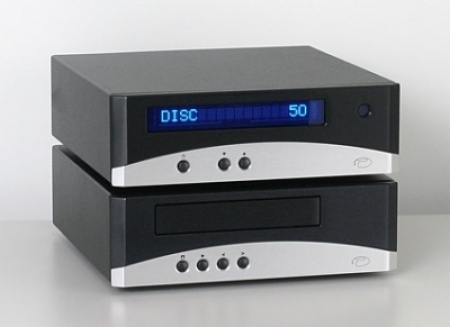 cd playback and streaming via usb, and dac capabilities. We have a REL Stentor 2 in black finish. 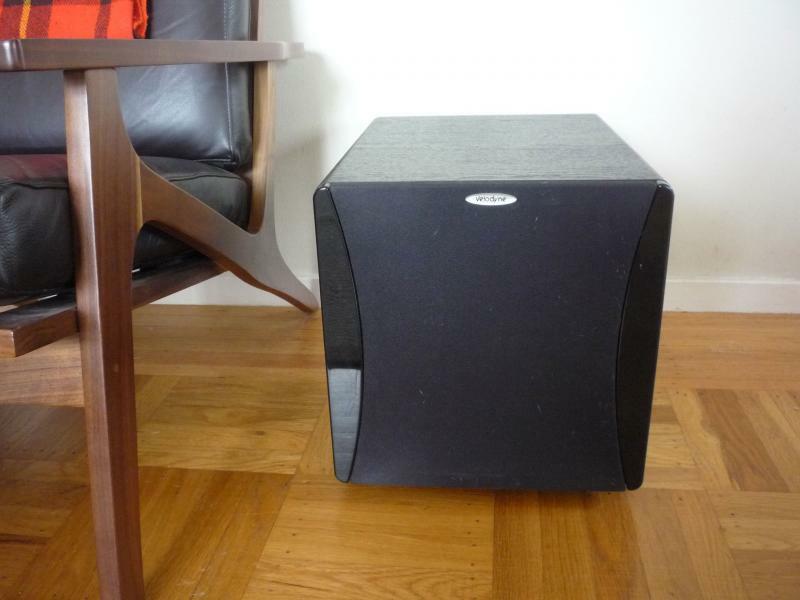 This superb subwoofer was traded in to us by our good client. It is in excellent condition cosmetically and performs flawlessly. 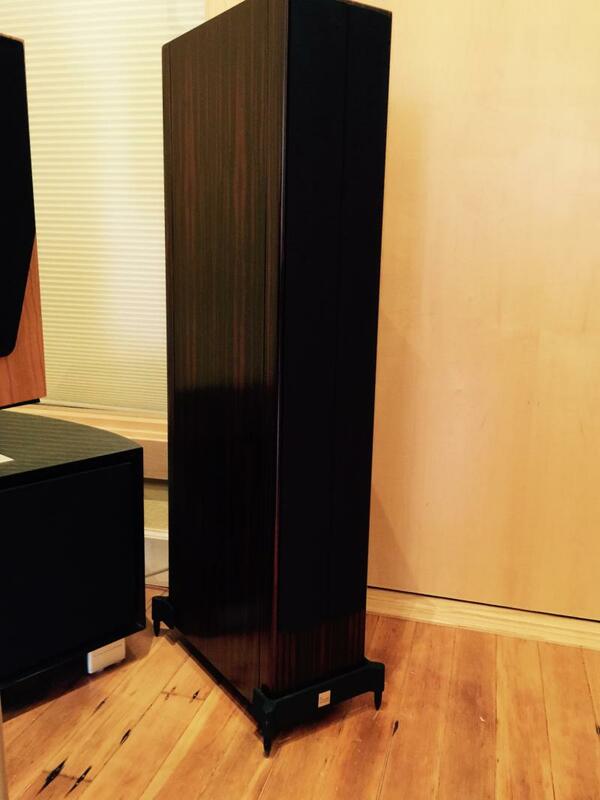 We have a very desirable Naim Nait 5i italic version. Less than a year old traded in by the original owner. Unit is Mint operation is flawless as is cosmetic. The Ortofon A90 has won over serious cartridge connoisseurs with its supberb performance and value. EMT TMD-25 mono Cartridge in pristine condition, with less than 50 hours play time. Harmonic Tech crystal silver phono cable in 1 meter -right angle din to rca in excellent condition. New $800 asking $400 Sold. Dealer Demo pair of Stage 3 Concepts Baron Ag interconnect terminated via RCA to RCA in a one meter lenght. 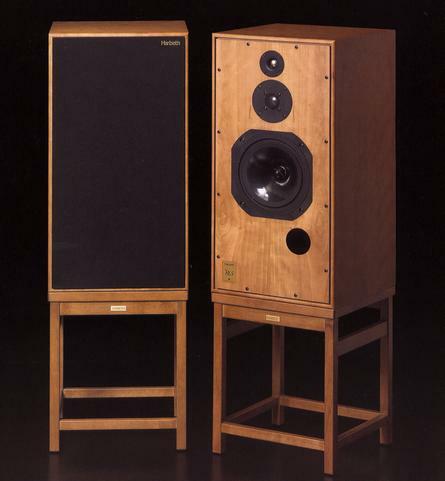 Harbeth Compact 7ES3 in Cherry. 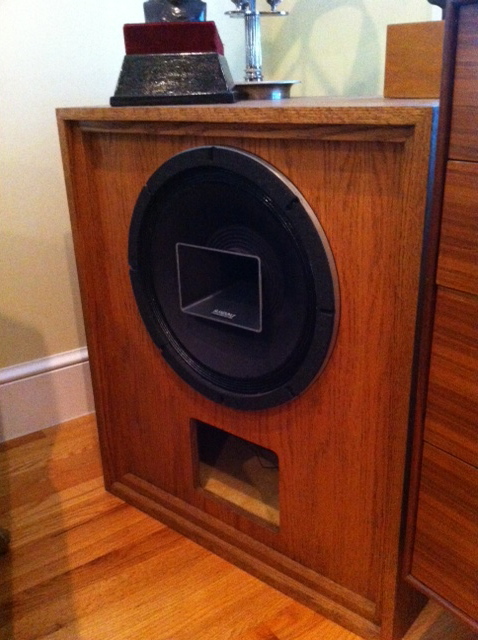 Trade up from a good client, we had installed these for our client and picked them up when he upgraded to Harbeth 40.1. We have an open box Rega P5 in Cherry finish available. The unit is mint. The P5 is a big jump from the Rp3. Superb pace, rhythm, and timing, tonal balance...And always musically involving. 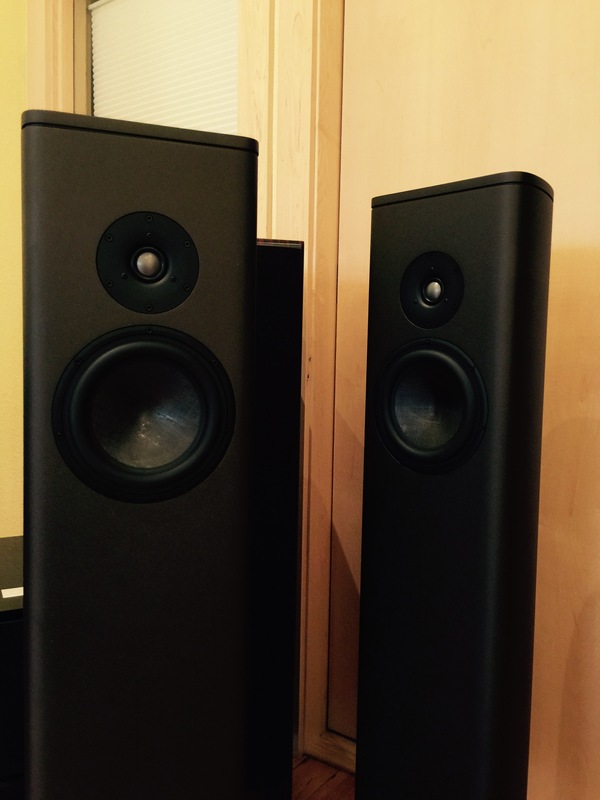 Amphion Argon 2 in flat black finish,it has several light scratch and scuffs but functions perfectly with original drive units. 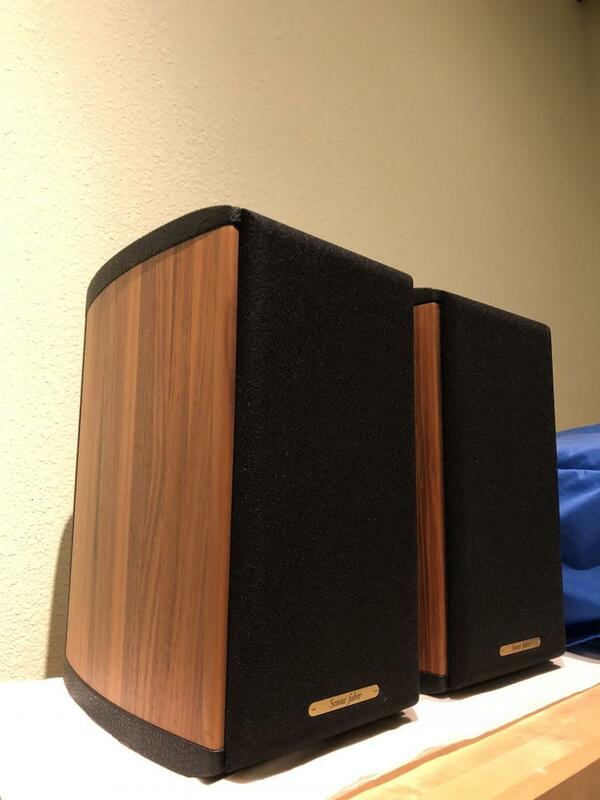 Kudos X2 in Walnut for sale, these are great sounding speakers and a fantastic value. I have one pair of Sennheiser HD 800 head phone new in box available. We were a Sennheiser dealer and this is our last pair. Ayre C5xe unversal player . Mint. A nice Vandersteen V2W﻿ sub in good working condition. Gently used in a music-home theather system. 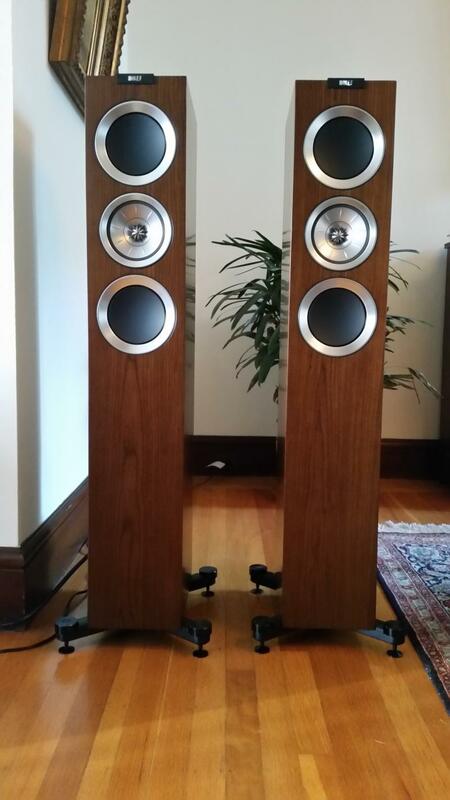 We have a pair of Martin Logan Purity in pristine condition, traded in by a good client of mine who is the original owner, light use ....Pick up only in SF. originally set by me for my good client. Luxman 505 u integrated amp in outstanding condition ,funtionally perfect, cosmetically mint.Traded in bt the original owner whom purchased this new from me. 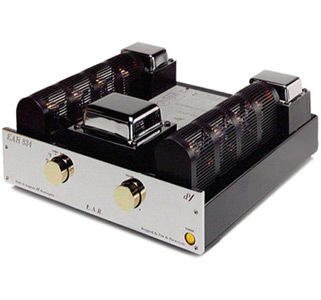 Cary Sli 80 Integrated amp. Light Marks on the transformer otherwise very nice. Tubes are included. We have a pair of Verity Parsifal Encore 3rd edition in Piano black for sale, these were a trade in by the original owner. The have been lighly used with top notch electronics, Kraft 300 amp and Reflection audio pre amp- in a dedicated listening room with no kids or pets. 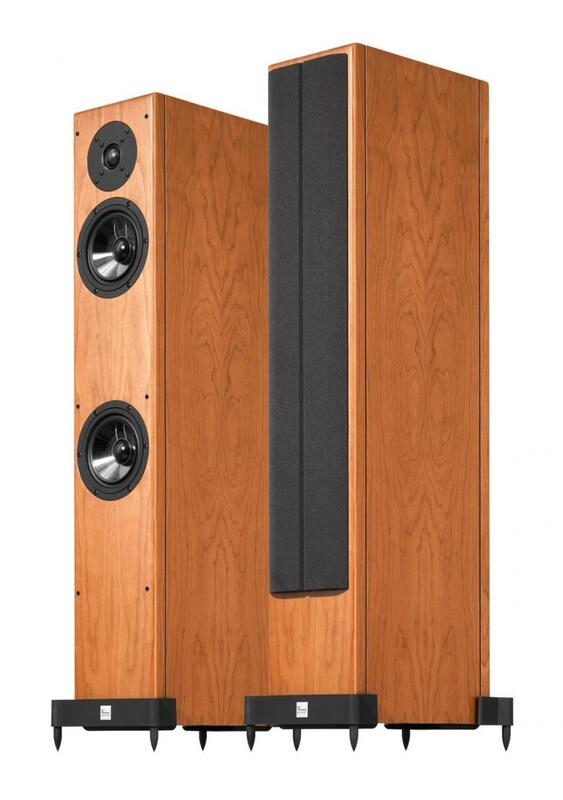 The are great speakers that will fill a large room, but can aslo be set in mid size room while offering full range performance with excellent results. Small amp friendly , they can be powered by low power amps also. We have a trade in Relection Audio OM1 quantum preamp with battery power supply. The unit has a built in medium gain phono stage suitable for low output cartridges. The pre amp is in excellent condition. This unit was owned meticulous audiophile and was used in a dedicated listening room with top tier component. One owner item, that was well cared for. 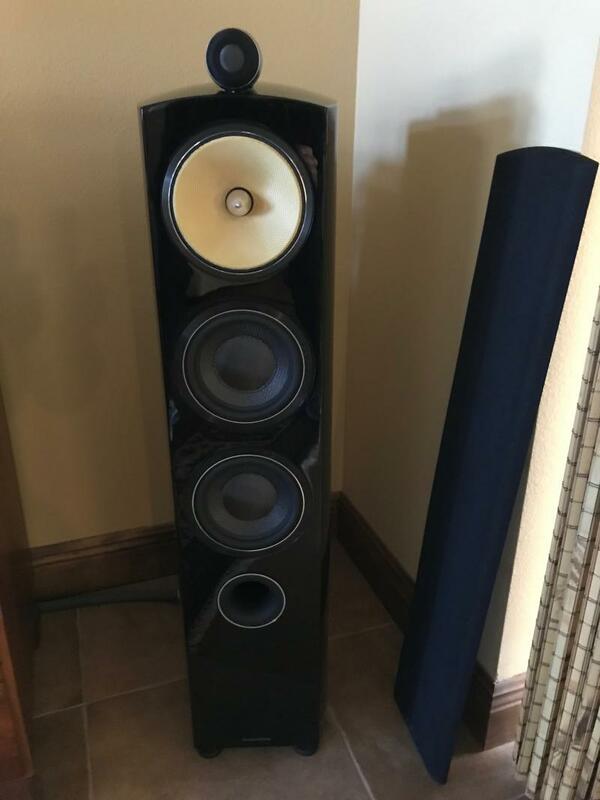 The reflection audio have an underground following for their purist all out build quality and excellent sound..
Proac Response One SC, Black ask, excellent condition. 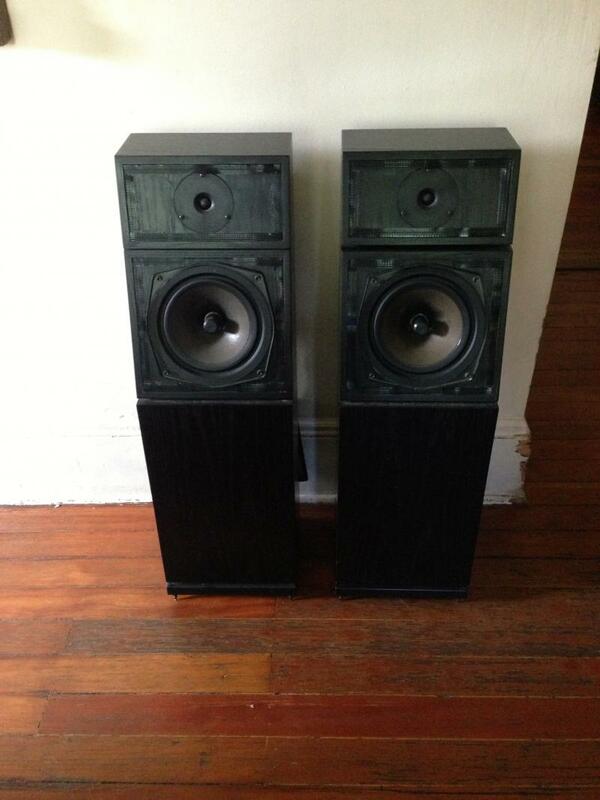 Highly sought after on the pre owned market for their ability to be driven by low powered amps. Trade up. 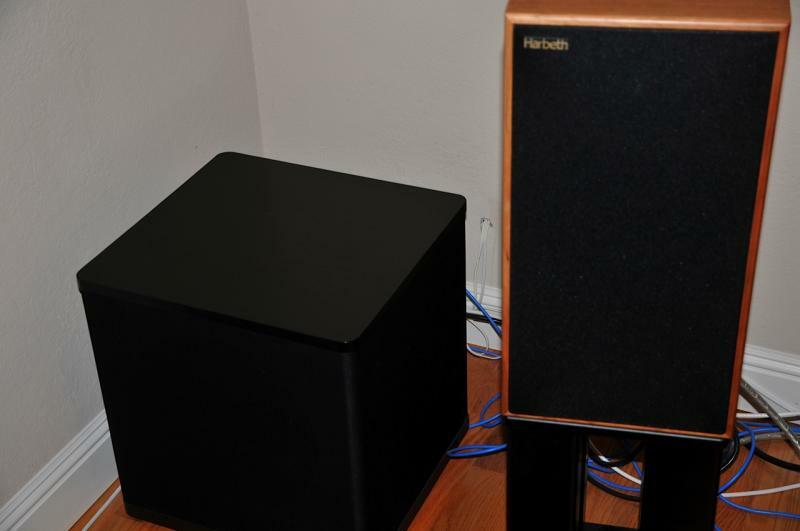 We had installed this pair for our client he has went up the Harbeth line to Monitor 40.1s. They are in stunning condition! Quad 12l Monitor ,excellent condition. 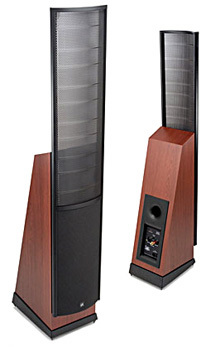 I have a pair of Acoustic Energy 109 floor standing speakers in Black, I am selling for one of my clients. 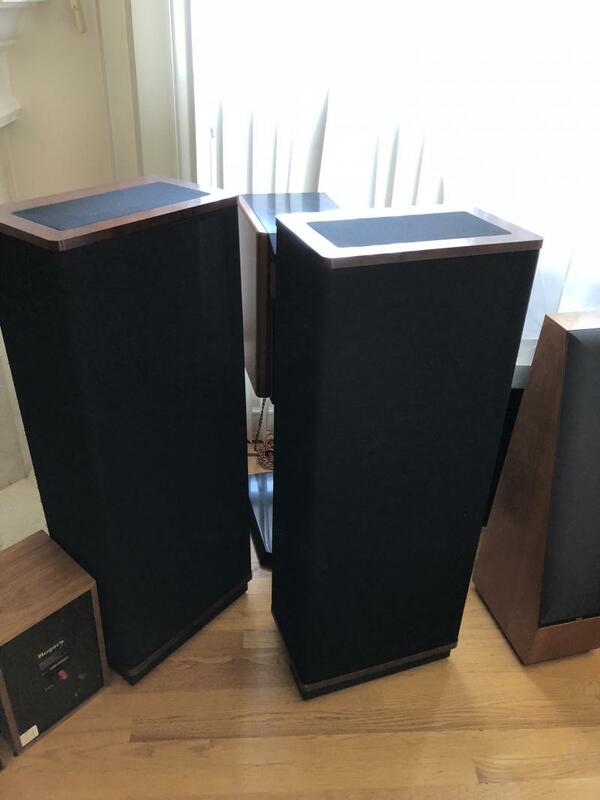 He originally purchased them new from a dealer in New York.I just installed his Harbeth C7s so these will need a new home. They have been well cared for and perform flawlessly. 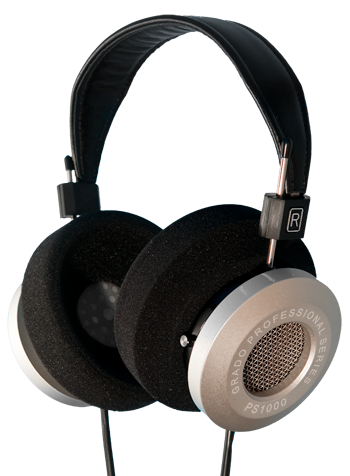 The Drivers are all original drivers.Great sound and imaging for peanuts. The cabinets are in great shape there is a tiny rub spot at the upper rear corner of one speaker about the size of a pencil tip. These will ship in their original box. Naim CD5x CD player ,excellent condition ,one owner. Naim FlatcapX2 Power supply, Excellent condition ,one owner. Naim Nait XS integrated amp.Black. Excellent condition. Clean.One owner. 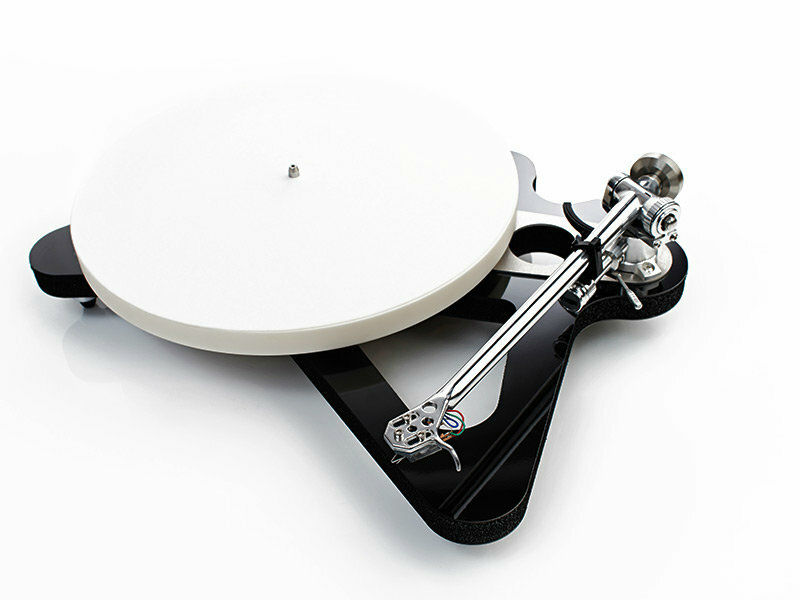 I have an exceptionally clean SME 10 with SME 10 tonearm for sale. He originally bought this new from an authorized dealer. It has been sparingly used as he spends most of his free time building musical instruments. A new set of SME compliant feet is included and will be installed at the time of delivery. It is sweet sounding deck. The cartridge is not included. 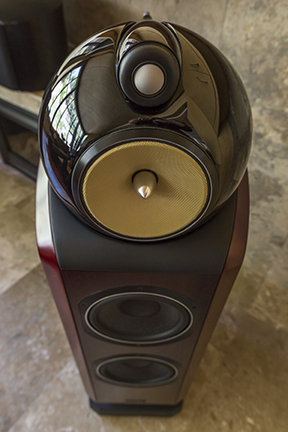 Dali Euphonia MS4 these are third from their top of the line speakers. Great quality build and sound. There is rubbing along one top edge of one speaker and a small rub spot on the upper front corner, aside from these minor flaws the are very handsome. Price reflects the cosmetic blemish. Speakers are in excellent working order all the drivers are original. 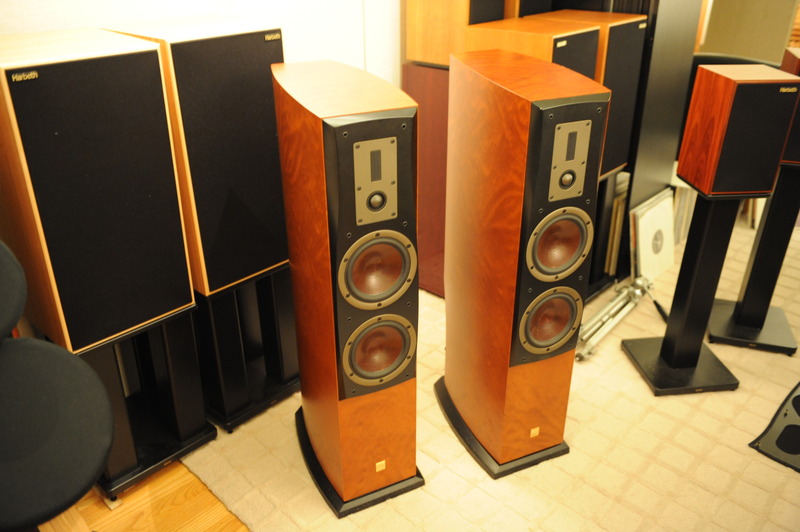 I have a pair of Quad 988 ESL for sale traded in by the original owner. 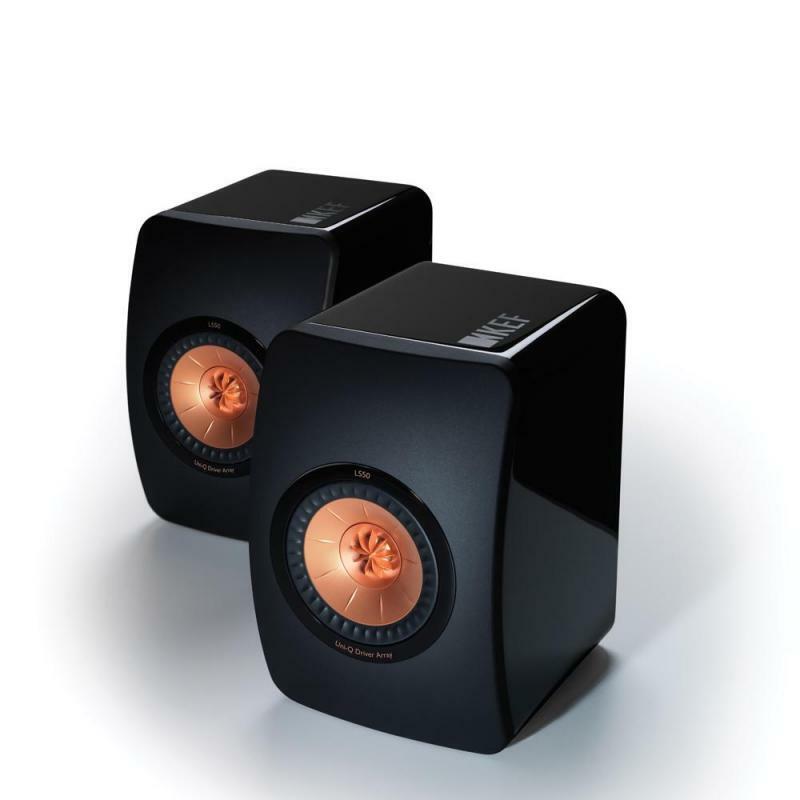 The speakers are in excellent operating condition and have always been used with reference quality electronics in a dedicated listening room at modest level. Conservatively rated 7/10 because of a couple of small snags in the grill cloth but otherwise is very nice condition. New grill cloth can be had for an additional $150 if desired. The crossover has upgraded parts professionally installed consisting of premium resistors and caps.If desired original parts can be reinstalled at no additional cost to the buyer. We are an authorized Quad dealer. They will ship in the original factory packing. I have a NEW UNOPENED Audio Note Kondo IO M cartridge for sale. I had ordered this for my client but he decided to put the funds into upgrading his turntable instead. It is guaranteed to be NEW and unplayed. It will come with full warranty and Kondo's certificate of provenance. I had personally installed this in my good client's system recently. He is trading this back in to upgrade to his turntable I had just ordered for him. It is a mint, like new, Audio Note Kondo KSL SFz Step transformer. Silver wound through out and perhaps the best step up in existence. 1 ohm, 3 ohm ,40 ohm tap provides flexibility for use with any cartridge. It will come with full warranty and original box and Kondo's certificate of provenance. Payment accepted via Paypal,or check after it clears or wire tranfer for international transactions. Free Fed EX 3 day shipping is included. I have a Benz Ruby 3 cartridge for sale. It belongs to a good customer of mine who is the original owner he purchased it new,and had it set by a local Benz dealer here in the Bay Area. The Cartridge has about 300 hours playtime and is in excellent condition. I inspected the Stylus tip and it is clean, the cantilever is straight and true. This is a sweet sounding cartridge.He upgraded towards an Air Tight PC1 if you are curious. Demo Shelter 7000 cartridge in Mint condition with less than 100 hours . Traded in by the original owner , excellent condition. Heed Obelish 2 with separate power supply. Great Sounding integrated . 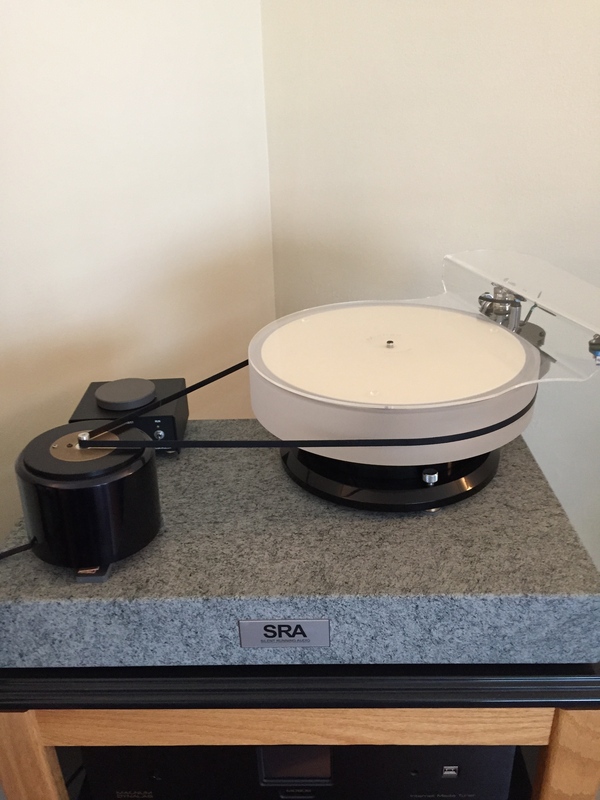 Mint, light Use Rega RP10 , one owner. Set up by us orginally, great value on a killer table. No Cartridge include , but we can install one for additonal cost. 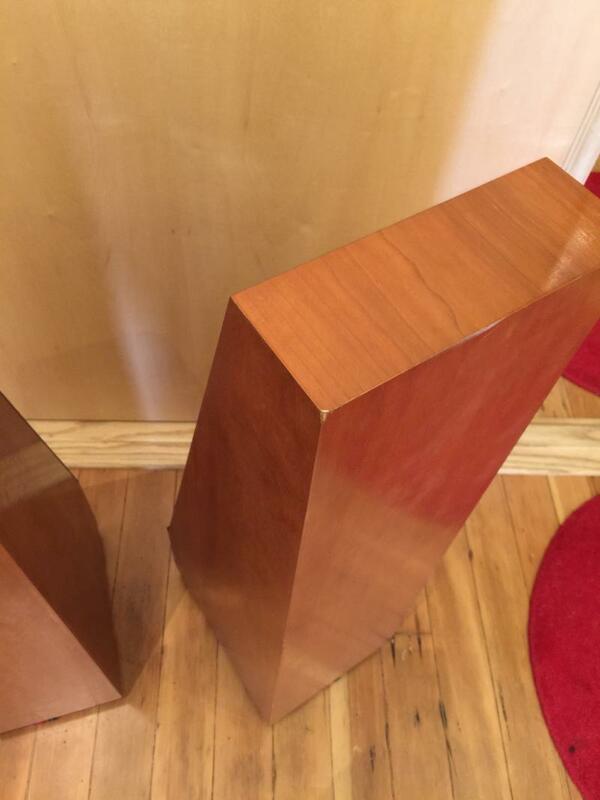 A very nice pair of Devore Fidelity Silverbacks speakers in Figured Walnut finish. One owner and original owner.﻿ Well cared for, used in top tier system. 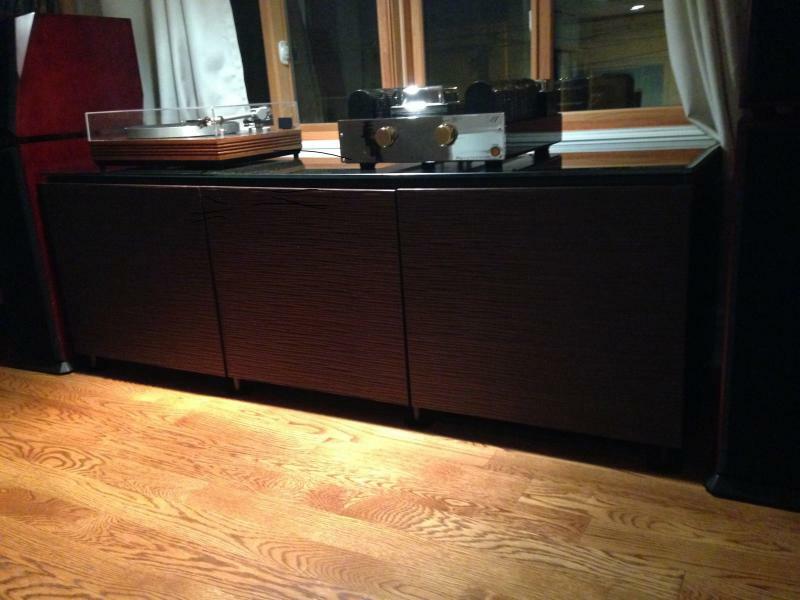 A nice pair of Vandersteen 2Ce in great shape with dark walnut trims sold by original owner. well cared for. 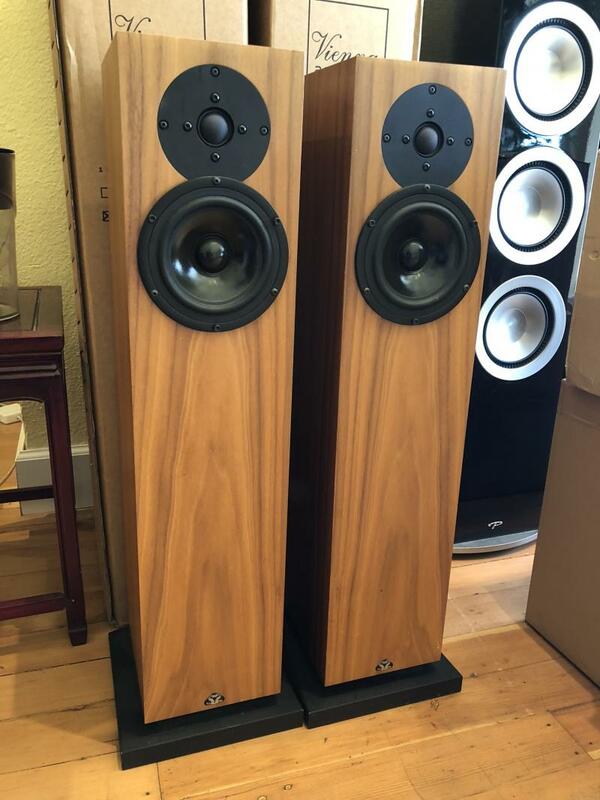 A stunning pair of Dali Epicon 6 available for sale. Well cared for and part of a reference caliber system. 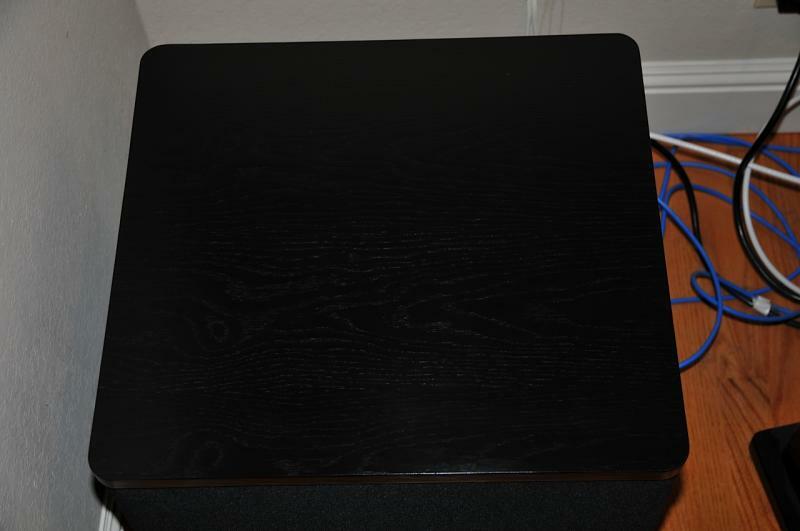 A beautiful pair of Proac Tablette Annivesary speakers in ebony . In Pristine condition with les than 10 hours play time. 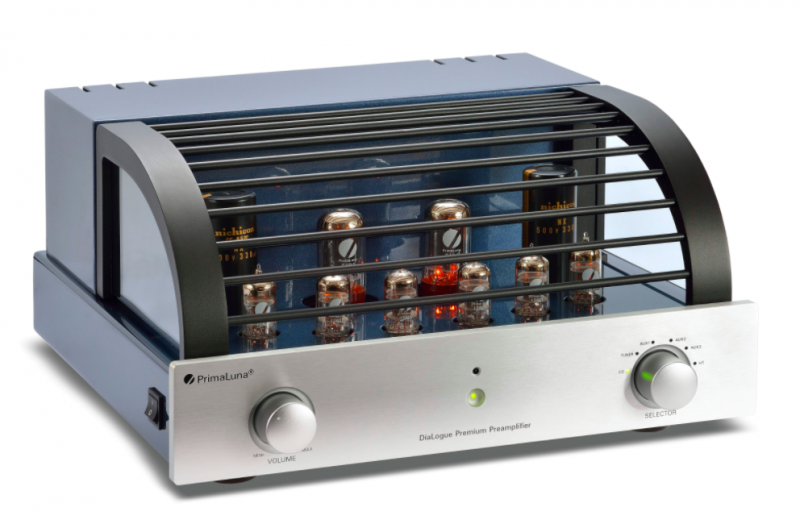 Prima Luna Premium Tube Pre amp . Excellent condition . One owner used in a dedicated system. Prima Luna Hp Stereo Amp . Excellent condition . One owner used in a dedicated system. Vienna Acoustic Mozart Grand Symphony Edition in cherry finish. One owner pair well cared for, used in a dedicated listenign room. 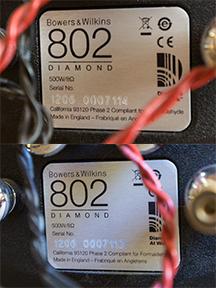 A beautiful pair of Bowers & Wilkens 804 Diamond series 2 speakers. NOT D3 . 2 years old, usded in a quality system. Ships from Florida with original boxes. Kef R500 is excellent condition. One owner, gently used. 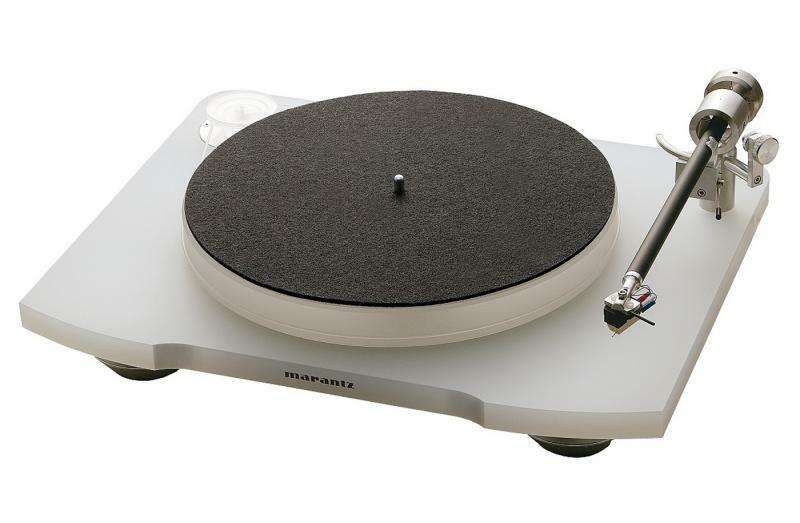 Beautiful Marantz TT15 turntable for sale, light use.